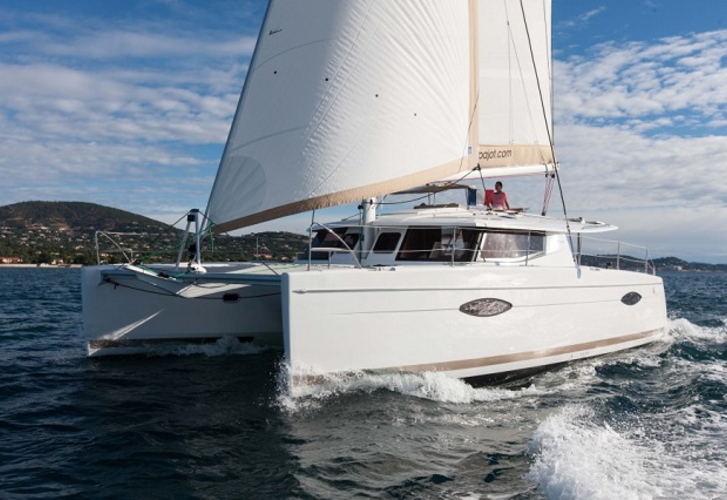 In 2013 has been manufactured sailing boat Helia 44 called CUMBAVA. You can board up to 12 pax on the sailboat CUMBAVA. Scheme of berths is 12. There are 4 bedrooms located below she's deck. CUMBAVA is equipped with 4 heads with showers. Diesel tank is 470 L liters capacious , tank for water has up to 750 L l. In this sailboat is applied motor 2 x 40 hp diesel. With 43.50 meters of lenght and 24.3ft. m of width CUMBAVA provides enough space for comfortable sailing. Helia 44 CUMBAVA is equipped with: Mainsail with lazy jack, Bimini top, Anchor electric windlass, Dinghy, Outboard engine, Gps plotter, Autopilot, Barbecue, Radio / cd player, ipod system, Wc pump electrical. . Security deposit accounts for 5000.00 EUR.